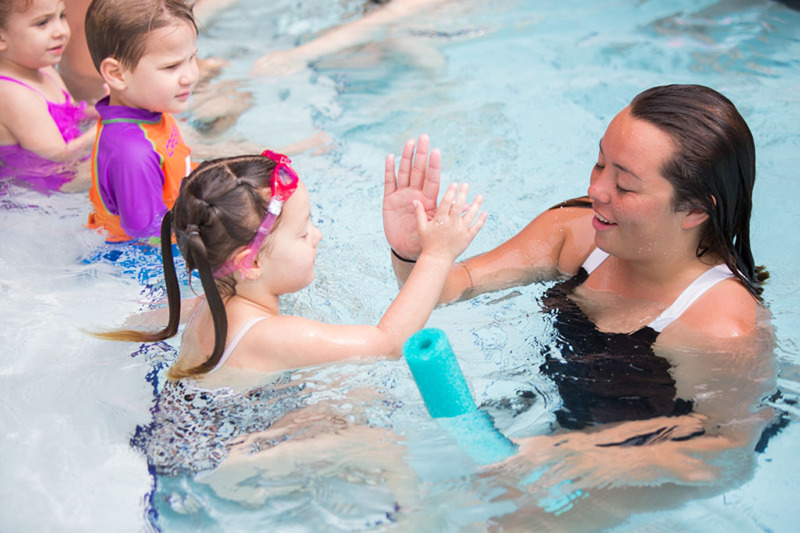 The Penguins class is for swimmers ranging in age from 3 to 5 years. This class focuses on safety in and around the water, as well as, beginner swimming technique. NOTE: If you are using your phone to sign up, please turn HORIZONTAL so you can see the shopping cart. 1. DO NOT sign in or register as a new user until ALL students are registered. 2. Choose your class under "SWIMMING" heading and add to shopping cart by clicking on shopping cart icon. All class purchase information refers to your child. If you have more than one child for swimming lessons, each swimmer's information must be entered seperately. DO NOT USE ADD CUSTOMER TAB. This will require you to register one child, then click on the Emerald Coast Scuba Icon in the upper left corner of this website, click on "SWIMMING, and then choose the next class with next swimmer's information. After all swimmers' information is entered, click "CHECK OUT" where you will be prompted to sign in or register as a new user. IN CHECKOUT Please Select one of the below in "SHIPPING CHARGES"
Check out through PayPal where you can check out with your PayPal account or enter credit card information. Weather alerts are the ONLY way we communicate if your class has been canceled due to weather and when the make up will be. If you do not sign up for the weather alerts you will have no way of knowing this information. Without this form we will not be able to place your child in their appropriate groups and make sure they are in the correct class. If we do not recieve the regisration form within 48 hours the swimmer will be removed from the class. We do make-ups for WEATHER only. If you need to miss a class for any other reason, your child will simply miss a class. Just come to your regularly scheduled next class. Since all of the classes are full, we cannot simply add your child to another class as this would put us over our student to Instructor ratios. Thank you for understanding. All 8 week classes are $165 plus a 2019 Annual Registration Fee.